Debra Pozega Osburn joins the U of S as vice-president university relations on October 1, 2016. Debra Pozega Osburn can’t wait to get started. 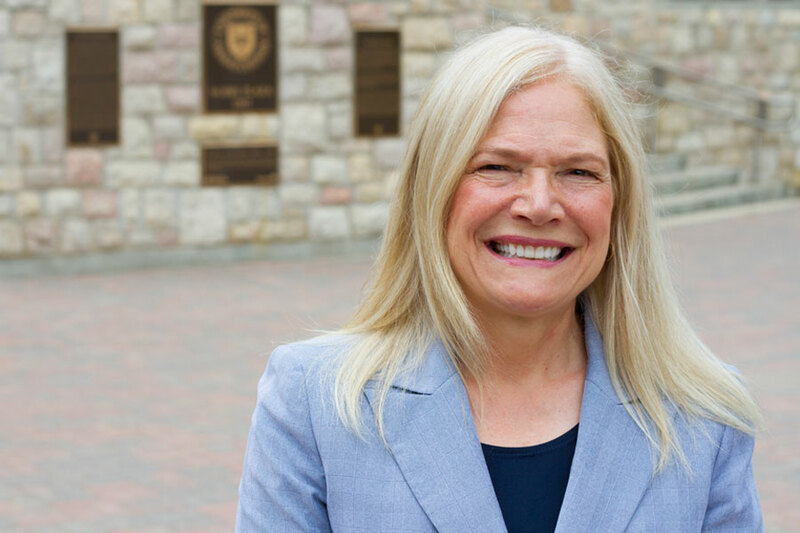 On Friday, University of Saskatchewan (U of S) president Peter Stoicheff introduced Pozega Osburn as the new vice-president of university relations, joining the U of S after serving the past six years in a similar position at the University of Alberta (U of A). She will head university initiatives to build effective strategic communications initiatives as well as strong relationships with alumni, donors, community members, and a wide variety of other key stakeholders. Pozega Osburn will officially assume her new role on Oct. 1 and is excited about joining the leadership team at the U of S.
After an exhaustive search nationally and internationally, with input locally from the on-campus advisory committee, Stoicheff said Pozega Osburn became the clear choice. Pozega Osburn, who earned a bachelor’s degree in journalism and a PhD in America studies from Michigan State University, brings a wealth of experience in both public and private sectors to the U of S. Prior to heading university relations at the U of A, she served 11 years in a variety of communications roles at Michigan State and spent 13 years working in media as both a reporter and as an editor. Pozega Osburn also helped run a communications consulting firm that focused on a number of education and non-profit initiatives. She is looking forward to helping build on the success of the U of S, part of the group of the top 15 research-intensive universities in the country.